A man has been arrested in Pakistan for allegedly assisting in solemnising the wedding of two Hindu minor girls, who were reportedly abducted and forcefully converted to Islam, as the teenagers approached a court in the country’s Punjab province seeking protection. According to Geo TV, the teenagers approached a court in Bahawalpur in Pakistan’s Punjab province seeking protection. “Police have arrested a man from Khanpur who is suspected to have assisted in the nikah (marital contract) of the girls,” it said. However, it is not confirmed whether the arrested man is the cleric who performed their marriage. Earlier, there were reports that the cleric who performed the minor girls’ marriage was arrested from Khanpur in Sindh. The draft resolution demands that the most unfortunate incidents of kidnappings and forced conversions must be condemned unanimously by all honourable members of Parliament. “The bill against forced conversions which was unanimously passed by Sindh Assembly in 2016 and then reverted due to pressure of extremist elements, must be resurrected and passed in the Assembly on priority basis, ” says the draft resolution. The resolution would seek strict action against controversial religious elements for supporting such inhuman practice. A war of words broke out between India’s External Affairs Minister Sushma Swaraj and Pakistan’s Information Minister Fawad Chaudhry over the reported abduction, forced conversion and underage marriages of the two Hindu teenagers. The spat started soon after Swaraj sought details from the Indian envoy in Pakistan into the reported abduction of two Hindu teenaged girls. Swaraj, while tagging a media report about the incident, tweeted that she has asked the Indian High Commissioner in Pakistan to send a report on the matter. Pakistan’s Information Minister Fawad Chaudhry responded to her tweet, saying it was his country’s “internal issue”. In a Twitter post in Urdu on Sunday, Chaudhry said the prime minister has asked the Sindh chief minister to look into reports that the girls in question have been taken to Rahim Yar Khan in Punjab. He said the prime minister has also ordered the Sindh and Punjab governments to devise a joint action plan in light of the incident, and to take concrete steps to prevent such incidents from happening again. 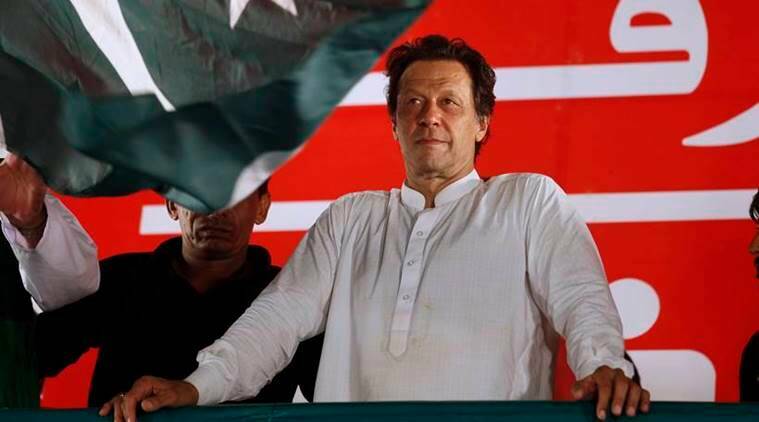 Last year, Khan during his election campaign had said his party’s agenda was to uplift the various religious groups across Pakistan and said they would take effective measures to prevent forced marriages of Hindu girls. Rights activist Jibran Nasir tweeted that the sisters were converted at the Dargah Barchundi Sharif and were taken to Rahim Yar Khan in Punjab following their marriages.